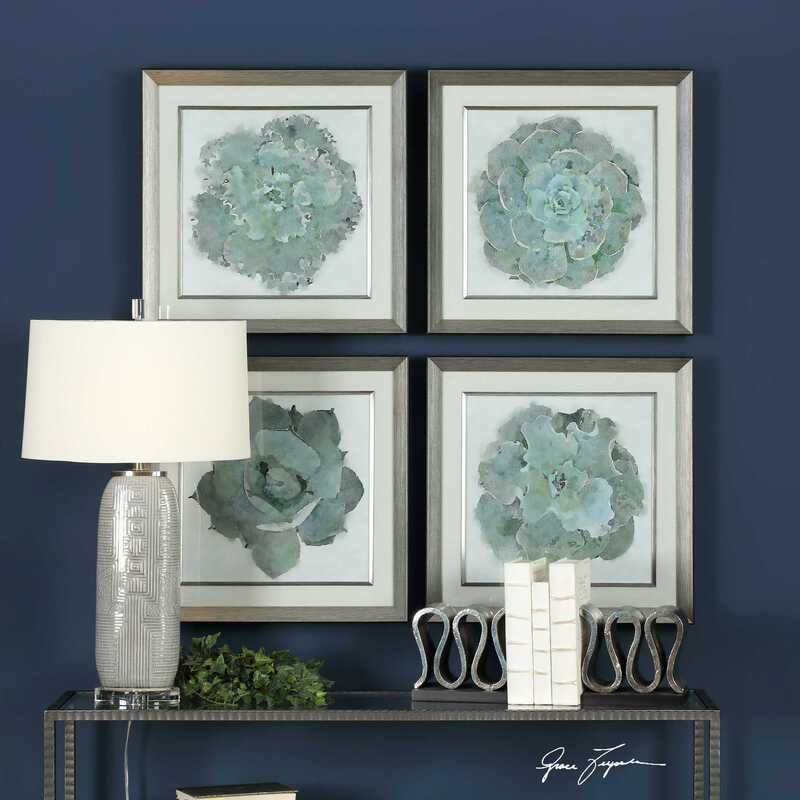 These printed succulents exude on-trend style and artful appeal. Shades of green and gray create a simple, yet eye-catching design. 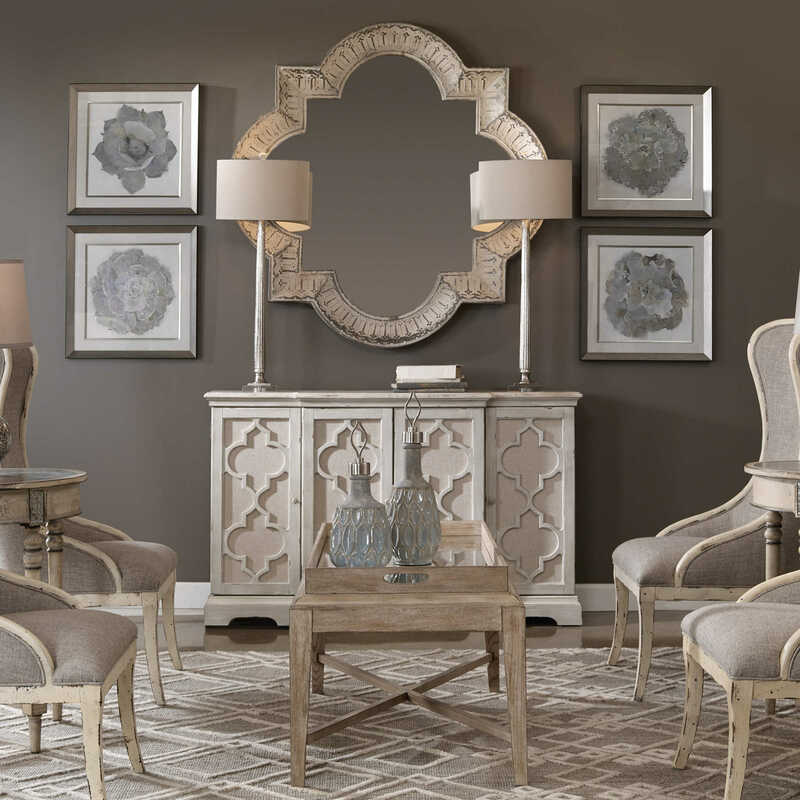 Each print is accented by a warm, neutral-toned mat. 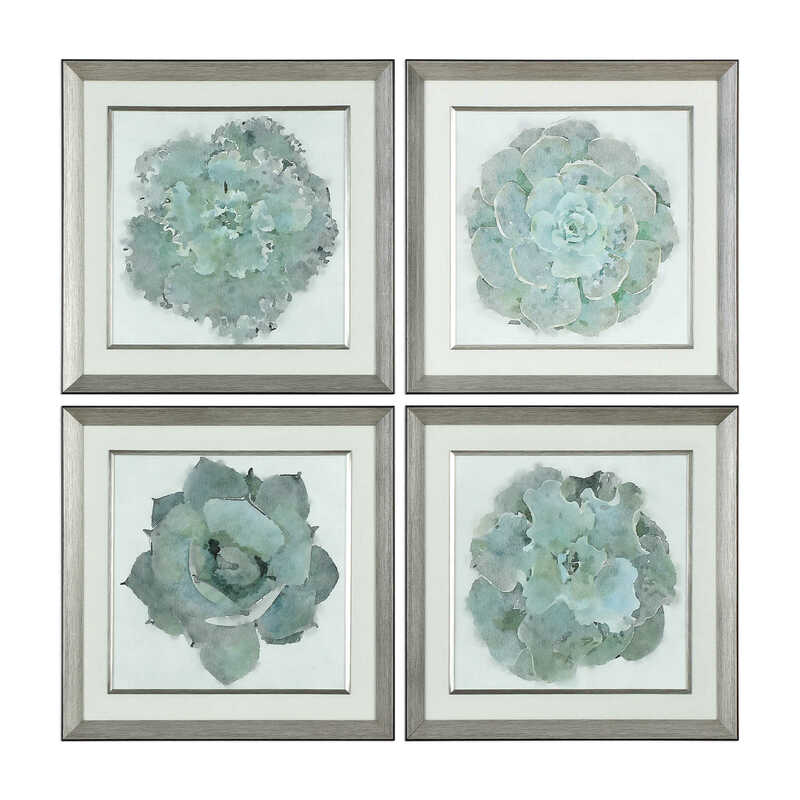 Silver leaf frames with a light gray wash and scratched accents are paired with matching fillets to complete the artwork. Each print is set under protective glass.